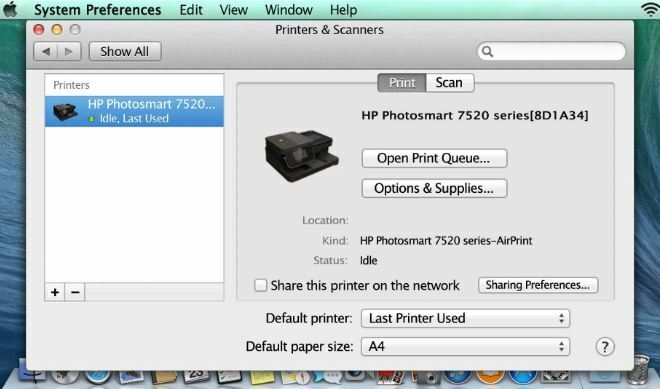 How to Add a Printer to a Mac – This is a small AppleScript application that allows you to automatically add printers from the department. Do you prefer to do it by hand? No problem, follow this manual installation procedure. The application will check the presence of the printer driver. If it is not installed, you will be directed to the download page of the driver. Restart the application after the driver is installed. Important NOTE: The driver for some printers is simply a single PPD file. The application will automatically download this file via your browser. The PPD file must be saved in the Downloads folder for the application to find it. This is the case in particular of the Xerox WorkCentre 4150 and the DELL5100CN. If you already have a printer with the same name installed, its configuration will be updated. The following window appears for each printer installed correctly. Once the printer is installed, you will need to authenticate to the server using your CIP and password before you can print. The next window will appear at the time of printing when authentication is required. Attention: This is to enter your CIP and password from the university and not your local computer. A common error is to enter here the information of your local account and to memorize them in your keychain. If the stored username and/or password is incorrect, this window will no longer appear and the print will not work. In this case, you must go clear the entry that bears the name of the printer in your keychain. Previous post Why is Svchost Using so Much CPU? Next post What Camera do Youtubers Use?